What is a good night's sleep worth to you? If you're tired of tossing and turning, struggling to fall asleep or waking up every time your partner rolls over, you've come to the right place. Nothing beats a good night's sleep and the Bed King certainly has you covered. Our philosophy has always been to provide customers with the best possible sleep solutions at the best value. In addition to our already extensive range of Serta, Restonic and Simmons, among others, we'd like to offer you even more. The celebrated range of Comfort Solutions beds, exclusive to Bed King are specifically designed to conform to a predetermined set of comfort levels. The Comfort Solutions Lab® is available at every Bed King store throughout South Africa. It uses advanced pressure mapping technology to identify your unique comfort and support needs based on your body type and preferred sleeping position. The Lab uses your unique pressure points to recommend a Comfort Solutions mattress that will effectively support your body while providing it with the comfort it needs. In a nutshell, this unique engineering and technology breakthrough gives us the ability to help you find the perfect Comfort Solutions Mattress. We have refined the technology to take the guess-work out of finding the perfect mattress for each of our clients. In the past, choosing a bed was based on the customers personal preferences and their perception of comfort. Now, thanks to the Comfort Solutions Lab, customers can make an informed decision based on science. The negative impact of sleeping on an uncomfortable mattress is rather shocking as people can toss and turn up to 80 times a night. As a result, they seldom develop a deep sleep pattern which could ultimately affect their mental and physical well-being. 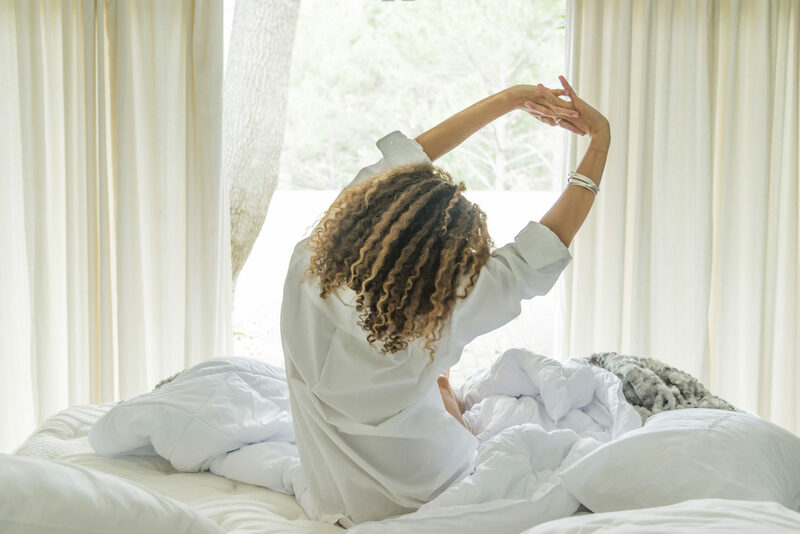 It's no surprise to learn that the Comfort Solutions® brand was specifically developed based on engineering, craftsmanship and quality in order to meet an obvious need for comfortable and supportive mattresses. Through extensive research, Bed King realised that the key to a good night's sleep is the connection between comfort and the amount of pressure a mattress exerts on the body. A global study identified new pressure-mapping technology and with it, the inception of the Comfort Solutions Lab®. Pressure destroys comfort. The greater the pressure on the body from the mattress, the less the comfort. The less the pressure on the body, the greater the comfort. Over the last three years Bed King has worked on refining the technology aimed specifically at South African market. As a result of extensive research and hard work, you will find a Comfort Solutions Lab® in every store. 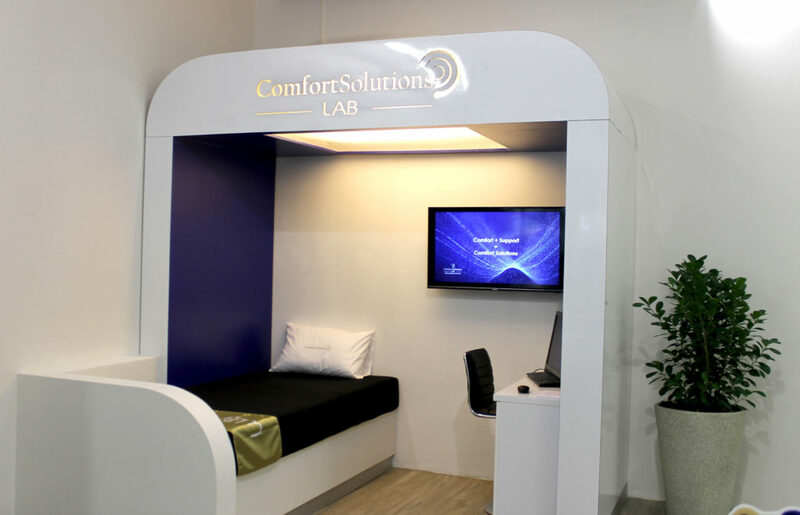 Each Comfort Solutions Lab® is a spacious booth that includes one mattress with a built-in pressure-mapping sensor. Customers lie on the test mattress in their usual sleep positions. Once their pressure map is recorded, a screen displays the data and shows the customer where their unique pressure points are. The Comfort Solutions Lab® identifies two primary factors - the comfort level of each individual and the customer's required support. As the data from the Comfort Solutions Lab® is based on the individual's unique needs, the technology provides mattress recommendations that match the customer's specific requirements. Instead of trying out all the mattresses in the Comfort Solutions range, the Comfort Solutions Lab® provides the user with mattress recommendations backed by science. The Comfort Solutions Lab® is incredibly important for a number of reasons. Not only does it allow us to better serve our customers, it enables us to provide objective bed and mattress recommendations based on your needs. Find your Comfort Solution, not your comfort exchange! Find a Comfort Solutions Lab® at each one of our Bed King branches countrywide. Locate a branch near you.